The ‘Jamie Oliver’ and ‘Body Shop’ brands demonstrate that clearly defined core values can be firmly placed at the centre of a healthy business. Strong values provide an ethical code of behaviour that influences staff, suppliers and customers. When employees share a brand’s core values they are more likely to feel content, empowered and fulfilled. Shared values can shape a behavioural framework that enables an organisation to realise its brands vision and achieve its true purpose. Values may originally derive from an organisation’s founders and evolve over time as a business flourishes. If you do not clarify and communicate these values, they may become diluted and compromise the qualities that made the organisation successful in the first place. This is a brand that undoubtedly benefits from a very visible and passionate brand champion – and Oliver wears his heart on his sleeve. When the chef visited North America back in 2010 for his ‘Food Revolution’ campaign he was reduced to tears at a US school, ‘They don’t understand me because they don’t know why I’m here.’ The caring chef was in the West Virginia town of Huntington to address the obesity epidemic that accounted for two out of every three people in the US being overweight. At the time Oliver placed a statement on his website: ‘I believe that every child in America has the right to fresh, nutritious school meals, and that every family deserves real, honest, wholesome food.’ To back up his manifesto he opened a walk-in advice centre called ‘Jamie’s Kitchen ’ on Huntington’s Third Avenue. 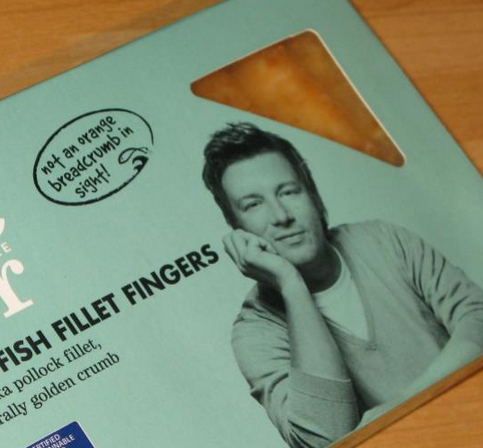 Jamie Oliver first came to the wider public’s attention in 1999 with his popular TV series ‘The Naked Chef’ and the accompanying book. His energy and enthusiasm seemed endless. In 2000 he started appearing in Sainsbury’s supermarket commercials and in 2002 he launched the Fifteen Foundation. The foundation gave 15 young people, from disadvantaged backgrounds, the opportunity of a career in the restaurant business. In 2005 he campaigned against the use of processed foods in school kitchens with the TV series ‘Jamie’s School Dinners’. With his focus firmly kept on caring for the nation’s diet,he followed with ‘Jamie’s Ministry of Food’. The success of ‘Jamie’s School Dinners’ campaign improved not just the health of school children but their exam results, with a consequent rise of 4.5 per cent in English SAT’s results. The Fifteen Foundation has been renamed as the Jamie Oliver Foundation. It was set up to train young people from deprived backgrounds to be chefs and many have persevered and found careers in this industry. The Fifteen London restaurant was followed by similar projects in Amsterdam, Cornwall and Melbourne. His enthusiasm for life is contagious and he is always inspiring or helping people – whether it is a new recipe, YouTube channel or his successful food festival ‘Feastival’. He is extremely constructive, using his talent to help others, offering jobs to unemployed youths and helping to change people’s perceptions about food. He has the confidence and courage to make a change for the good of all. You can tell that he really wants to help people and he ranks in the ‘Giving List of Charitable Donors ’ published by The Sunday Times ‘ Rich List’. The Jamie Oliver brand is focused on caring and like the late Dame Anita Roddick, The Body Shop founder, Jamie Oliver is a passionate campaigner. He cares deeply about people and food and is often referred to in the media as ‘ The Kitchen Crusader ’. Brands are interconnected with their employees, suppliers and customers. They are a part of society and can affect both the environment and our physical health. Commerce has global implications and with that comes responsibility. Sustainability and Corporate Social Responsibility (CSR) are the two ‘ must have ’ policies for global businesses. But is CSR a charity bandwagon or really heart-felt? Either way, a lot of good causes benefit t from these policies, but there is a difference between believing in a cause and just doing the right thing. A hollow CSR policy will come up for scrutiny but passionate heartfelt causes could be the focus that drives a brand. Dame Anita Roddick founded the ethical beauty brand ‘The Body Shop ’ and placed ‘ Against animal Testing ’ on the political agenda. The brand was the first global cosmetics brand to be recognized under the Humane Cosmetics Standard for their ‘ Against Animal Testing ’ policy. Core values are the foundations on which strong brands may be built. These values should be clear and relevant to each employee at every stage of their relationship with the organisation. The more work you put into defining what your organisation stands for and how you expect your staff to behave, the more your brand will grow in stature and performance. Find out more about how values can help your brand culture. You are invited to join me for my new Values workshop designed to help you get to the heart of your brands culture.